A lovely TURN-KEY FURNISHED 2 BEDROOM 2 BATH unit that has been only occupied seasonally. 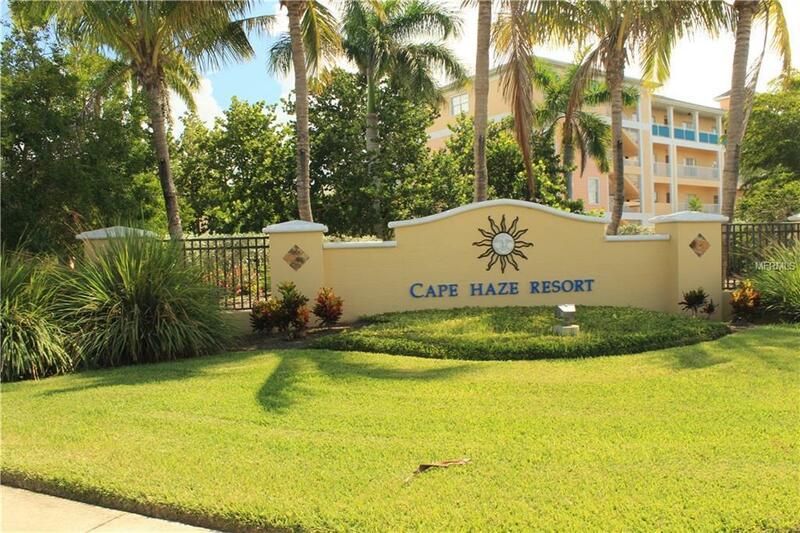 Located in the Cape Haze Resort in Placida Florida. A gated condominium complex that offers many amenities; fitness center, huge heated pool and spa, beautiful clubhouse, tennis, basketball and volleyball courts. This TOP FLOOR UNIT has a very private and serene view of the nature preserve and the dcor offers quite a soft and warm Florida ambiance. Additionally, it comes with garage parking and storage area. Association dues include sewer, water, trash, cable, pest control, fidelity bond, insurance, manager, private roads, exterior maintenance and maintenance of the grounds for $506.00 per month. Pets are permitted with size regulation.